This horse is an off-the-track Thoroughbred, doing a fine job with the Level 3 Parelli Natural Horsemanship At Liberty audition. Our green horses receive extensive groundwork until they develop a full understanding of corridors of pressure and how to respond to them. When we start them under saddle, the first ride occurs in a small arena that limits the horse's ability to move too far too fast. The rider leaves the reins alone and waits to see what the horse offers. Depending on the horse's personality, it may amble away from the mounting block, offer a trot, or even strike off on a canter. As soon as the horse moves, the rider softly applies the correct leg and seat aids for whatever the horse offers. Gradually, the horse makes a connection between the feel of a specific corridor of pressures and a particular gait. And gradually, the trainer introduces rein aids for a full circle of aids. 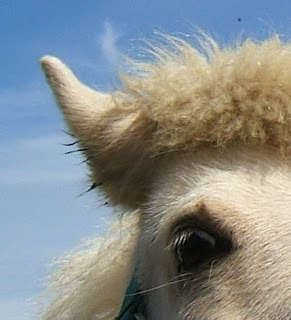 As the horse's understanding of aids increases, variable leg pressures allow a sophisticated conversation between horse and rider. 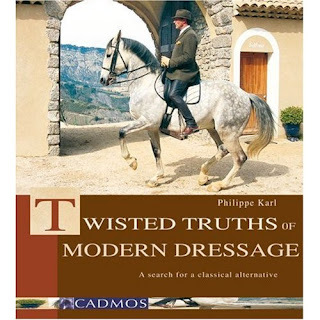 For example, a dressage rider can ask the horse for a working trot, medium trot, collected trot, or extended trot. 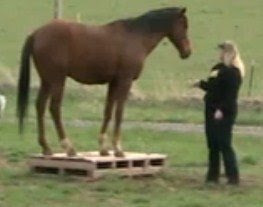 In order to communicate which trot she wants, the rider has to do more than just drive with both legs. Did the rider use the appropriate degree of pressure? Did the rider use the right degree of driving or keeping from each leg? The horse's response is the rider's primary feedback. The degree of pressure that the rider uses will depend on the horse's training level, personality, and physical sensitivity. The rider's end goal should be to communicate with the lightest aids possible, invisible to those watching. Whenever a rider creates a corridor of aids, it is important to leave an opening for the horse to release the energy she creates with her driving leg aids. For example, in the leg yield left the rider increases the pressure of the left leg asking the horse to move away from that pressure. The rider's right (outside) leg is back and keeping, suggesting an opening to the right to the horse. 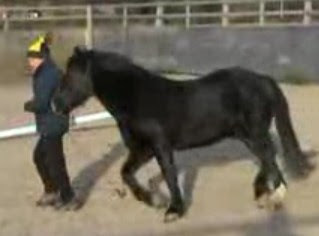 The horse picks up the left hind and moves it both over and forward instead of just forward. The outside rein (right rein) inhibits the forward motion slightly and redirects it forward and sideways, while also maintaining straightness in the horse's body. Some riders are confused about whether they should apply leg pressure at the girth, behind the girth, or way behind the girth. 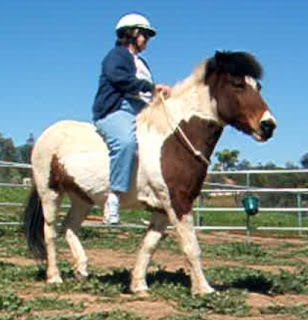 Ideally, the rider would like her driving leg just behind the girth, but the conformation of some horses and the leg length of some riders make this difficult. The most important thing is that the inside of the rider's lower leg should be able to make contact with the horse's side. The rider should think of stretching her leg down and around the horse's side. There should be no gripping or tension. The rider has to have her seat and upper body in the correct position in order to control the position of her lower leg. 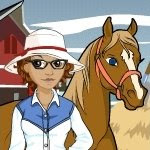 The rider's basic position is more important than exactly where her leg falls on her horse. Ideally, a plumb line dropped from the rider's ear will pass through her hip and ankle. The critical thing is that she needs to maintain the correct position of her thighs and hips so that she can give leg aids with the inside of her calf, not the back of the calf. The thigh should lie flat on the saddle. In order to use leg aids correctly the rider must not grip with the thigh muscles or the knee. Gripping with the thigh muscles or the knees locks the hip joint. The hip joint is the rider's shock absorber. If the rider locks her hip joints, she cannot follow the horse's motion and, therefore, cannot apply leg aids effectively. The upper body or torso must remain stable in order for the lower leg to stay stable. If the rider has to move around to apply the leg aids that movement interrupts her balance and her aids will not be clear to the horse. © 2008 Meredith Manor International Equestrian Centre. Join us and help petition the F.E.I. 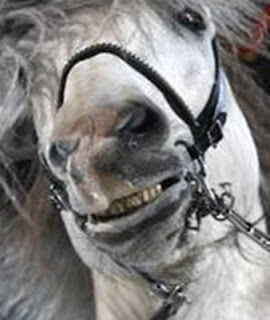 that all dressage competitions should only be shown with the horse wearing a cavesson with two finger width between the horse's face and the cavesson, both in the show ring and in the warm up ring. This rule has been a standard for generations of horsemen and accepted as being the best for the horse. This rule/standard was so accepted around the world by every teacher and rider - that it was never even written down. 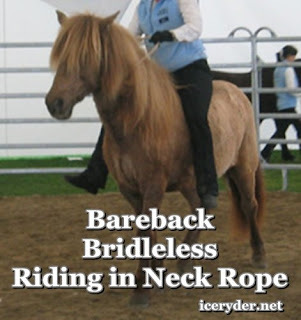 Now we see training practices that include crank nosebands and rollkur. Training practices that are physically, emotionally and mentally detrimental to the horse. A return to this simple rule, that will be easy to teach and enforce, can make a huge difference for horses not only for those in the show ring but for all of the horses, whose riders and teachers use those horses in competition as their standard of correct training. Please sign today and share this with all equestrians that you know, and together perhaps we can make a difference. Please feel free to forward this link. Nothing in all the world is more dangerous than sincere ignorance and conscientious stupidity. ~~ Martin Luther King Jr.